Nunavut is Canada's largest territory. This Arctic region and its numerous small islands are home to a large Inuit community. Composed of expansive tundra plains, mountains, glaciers and frozen lakes, for much of the year this wild region is spared from mass tourism. Caribou, polar bears and walruses all live in this territory, from the snowy inland to the ice fields of the coast. 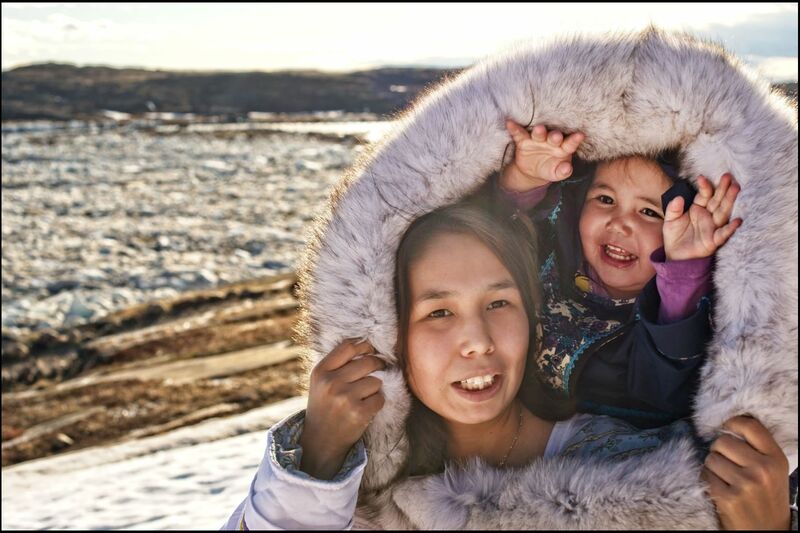 The capital, Iqaluit, offers a wide range of activities and excursions for visitors to enjoy. What's more, it's also possible to discover the culture of the Inuit people in Nunavut through hunting and fishing, as well as through the various typical objects they create and through festive events organised in the territory. After a visit to Canada's Far North, you're sure to come back with a new outlook on nature and the feeling that you've visited the world's end. If you plan on visiting Nunavut, our first piece of advice would be to make sure you take plenty of warm clothing. Keep in mind the three principal layers: clothing, fleece, parka. For your feet, make sure you pack some thick wool socks, and for your hands, high-quality gloves or mittens are essential. Also, remember to pack some spare batteries for your camera, as the cold will cause them to run down quickly. A good tip is to put them in your sleeping bag if you're sleeping somewhere with no heating. Lastly, to avoid an unexpected encounter with a polar bear: never go out walking alone, always make noise to signal your presence, and avoid places with limited visibility. However, you may be relieved to hear that polar bears don't usually tend to come near the towns or tourist areas. 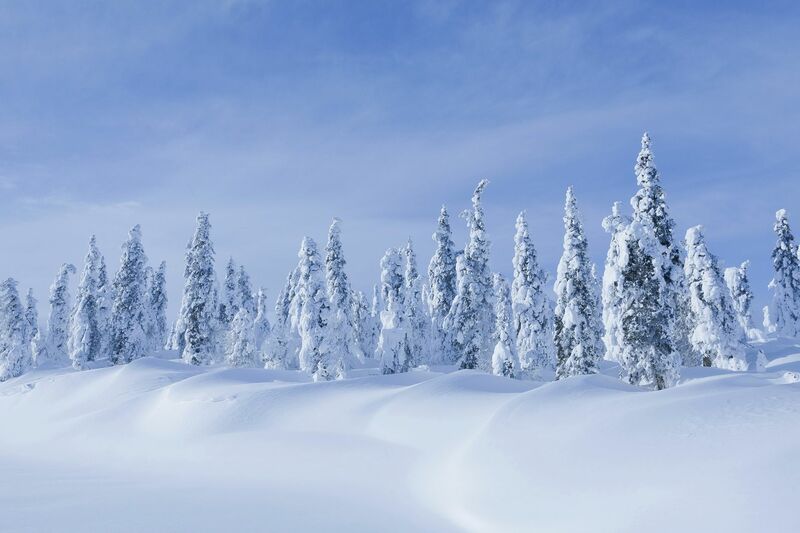 Don't miss out on taking a snowmobile or dog sled ride during your stay. If you get the chance, take the time to attend a traditional festival and show your interest in the Inuit culture. Finally, note that the principal mode of transport in Nunavut is by airplane, as there aren't any roads outside of the towns and cities. If you fancy visiting the regions in the north of the territory, you'll have to take a flight with a local company, like Air Nunavut. +The 'once in a lifetime' activities (dog sled ride, walks across ice floes, etc.). The typical cuisine served in Nunavut is relatively traditional and rich. It includes a lot of fish and meat, for example, caribou, which are traditionally hunted and eaten by the Inuit. The region's inhabitants tend to eat large portions in order to withstand the very cold climate, especially in winter. Note that a number of restrictions are in place with regard to alcohol. The possession of alcohol, for example, is regulated. Visitors are therefore advised to find out more information on this topic in advance. Big supermarkets are rare in Nunavut, but there are plenty of smaller shops in the towns and cities, like in Iqaluit for example. These include numerous shops selling local products, fishing equipment and warm clothing. Visitors will also come across a number of shops selling souvenirs, jewellery and other types of clothing.